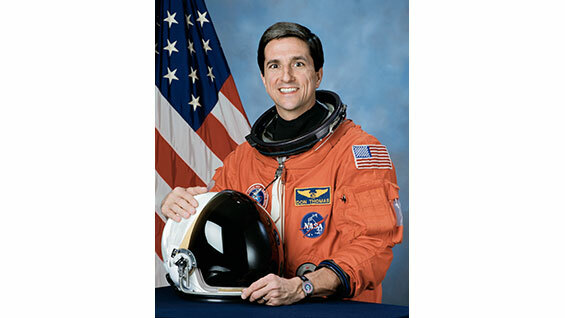 Free Lecture: Dr. Don Thomas, Astronaut, on "Living and Working in Space"
On Tuesday, March 26 between 12 PM and 2 PM Astronaut Dr. Donald Thomas will deliver a free, public lecture entitled "Living and Working in Space" in the Great Hall of Cooper Union. Invited by Cooper Union's student chapter of the IEEE/ACM, Dr. Thomas has flown on four shuttle missions aboard the Space Shuttles Discovery and Columbia between 1994 and 1997. During his time with NASA, he also served as Director of Operations for NASA at the Gagarian Cosmonaut Training Center in Star City, Russia, and Served as the International Space Station Program Scientist overseeing NASA experiments performed on the ISS. He is now the Director of the Hackerman Academy of Mathematics and Science at Towson University.